What is Singing and Spinning? After work, while I was fixing dinner, the girls were outside playing. I took a break to check on them and this is what I found. 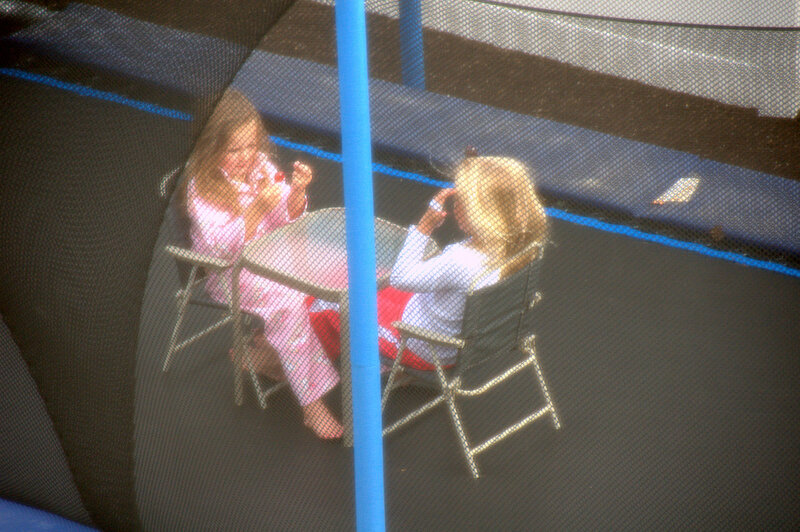 Both getting along perfectly and enjoying a pretend picnic on the trampoline. That is so cute, and original!!! Love it! Ivy's First Day of "school"
Awesome Inc. theme. Theme images by sebastian-julian. Powered by Blogger.